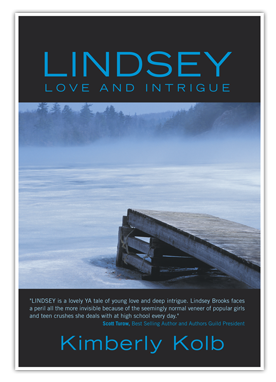 Fifteen-year-old Lindsey Morgan Brooks is still considered the new kid in the small town of Emit, Michigan. Both of her parents are lawyers, but her father has built his reputation prosecuting some of the worst criminals in New York and Chicago. Now, as a high school junior, she is trying to choose her own path. Busy with activities and consumed with thoughts of her secret crush, Chris, she takes little notice of what’s happening around her. She gets a flat tire, gets caught with the lights-out and starts receiving strange text messages—things she assumes are just high school pranks gone too far. Her father wants her to be able to handle herself, so she should be able to handle this. But while she steals a glimpse at Chris, who is watching her?